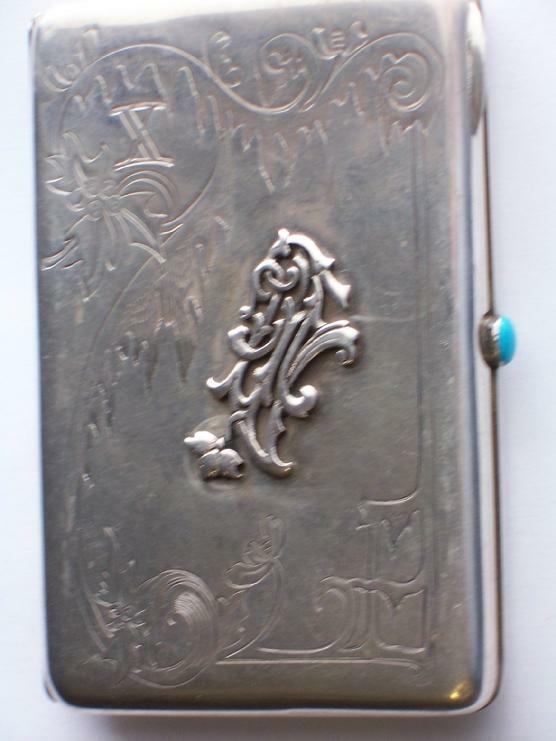 1911 silver cigarette case with engraved inside and applied with a silver monogram on the top and turquoise release button. 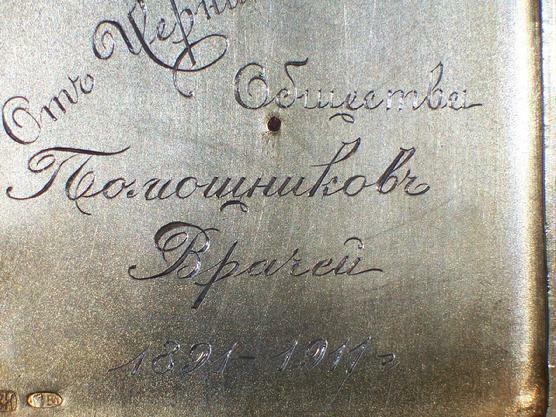 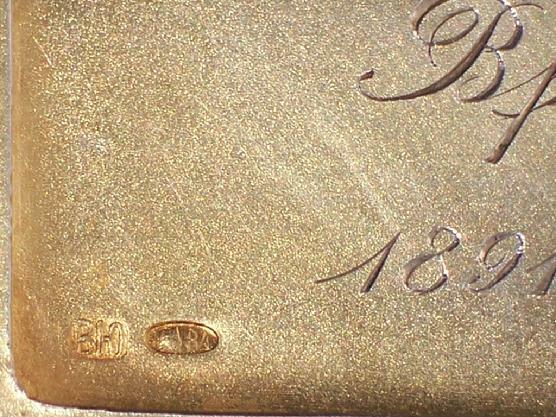 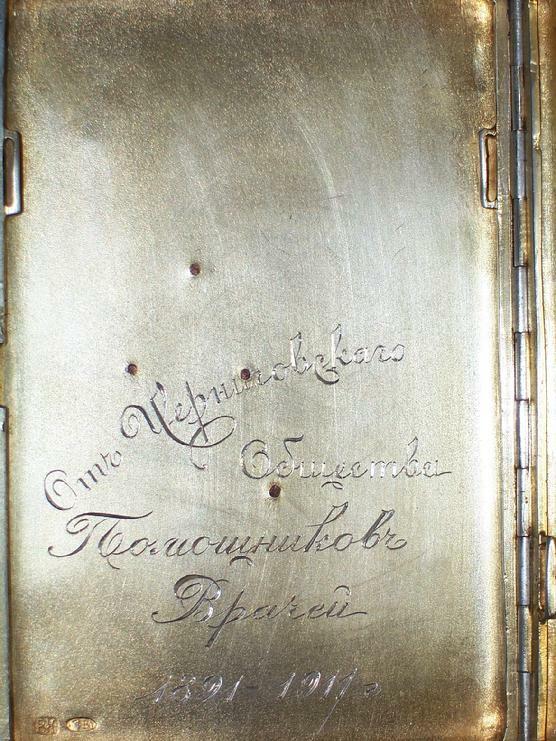 Marked with city hallmark, 84 silver standard and master's mark "VU" Moscow, 1906-1917, 11.5 cm x 7.5 cm. 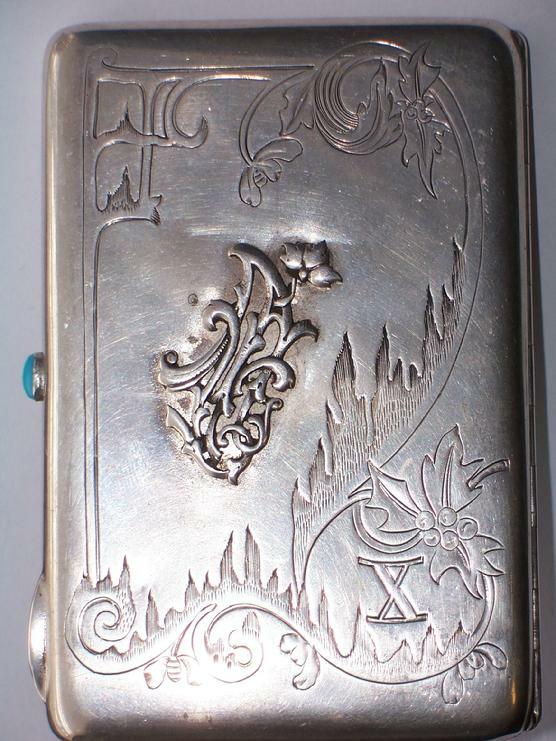 Price: $ 479.00 *** ON SALE NOW *** $ 379.00.